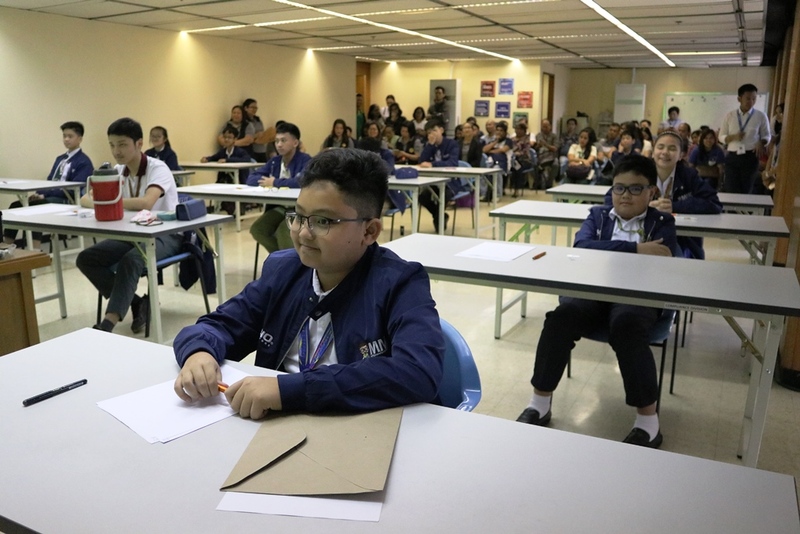 The Metrobank Foundation, Inc. (MBFI), the Department of Education (DepEd), and the Mathematics Teachers Association of the Philippines (MTAP) announced the schools which made it to the National Finals of the 2019 Metrobank-MTAP-DepEd Math Challenge (MMC). Out of the 403,707 students from 27,089 elementary and junior high schools who competed in the nationwide elimination rounds, a total of 21 students representing 16 public and private schools have successfully advanced to the final leg of the competition to be held on March 30, 2019 at the Metrobank Plaza Auditorium in Makati City. The following are the schools competing for the Grade 6- Individual Competition: La Marea Academy (Dagupan City); Tuguegarao West Central School (Tuguegarao City); Saint Michael Academy of Meycauayan (Bulacan); Stonyhurst Southville International School – Malarayat (Lipa City); Hua Siong College of Iloilo (Iloilo City); Ateneo de Davao University (Davao City); Lanao Chung Hua School (Iligan City); My Precious Child Learning Center (Marawi City); Silangan Elementary School (Taguig City); and Saint Jude Catholic School (City of Manila). Competing schools for the Grade 6- Team Competition level are Silangan Elementary School (Taguig City) and Saint Jude Catholic School (City of Manila). While for the Grade 10- Individual Competition are Bataan National High School (Balanga City); Quezon Science High School (Tayabas, Quezon); Zamboanga Chung Hua High School (Zamboanga City); and Grace Christian College (Quezon City). Finally, for the Grade 10- Team Competition are Quezon Science High School (Tayabas, Quezon); Zamboanga Chong Hua High School (Zamboanga City); Lagro High School (Quezon City); and Makati Science High School (Makati City). Over the years, MMC has produced national winners who get to compete and eventually win in international competitions, such as the 57th International Mathematical Olympiad (IMO) held in Hong Kong where the Philippines garnered its first gold medals.